First and foremost I am loved by God my Father, Jesus my Saviour and the Holy Spirit, my ever-flowing source and spring. 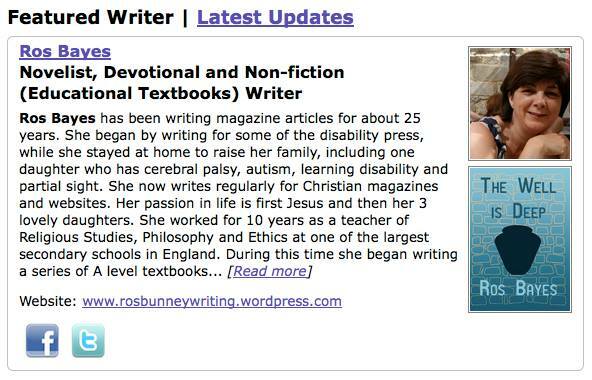 I have been writing professionally for over 25 years and am now doing so full time. I am writing magazine articles, school textbooks, fiction, poetry and this blog. The one common theme between them all is that I want to use my writing to glorify my God and King, the love of my life. I have recently discovered your writing and am enjoying it. Currently I am working with a group looking at ‘Rumours’ – could you please tell me what the copyright is regarding using this?